Yoga is 99% practice and 1% Theory— Krishna Pattabi Jois. Now a day’s children live in a hurry up world, with a lot of pressure of home work, competition and performance. In the preoccupied world of gadgets and gizmos, play stations and videos kids have lost the benefits of physical activities. To bring back the focus to the stress free childhood Chaitanya Wellness Yoga Academy Offers Kids Yoga program at their studios. The bustling pace of children’s life is having an adverse effect on their health and little minds. Yoga is a way to bring the little smiles back on their faces and stay there for a longer time. 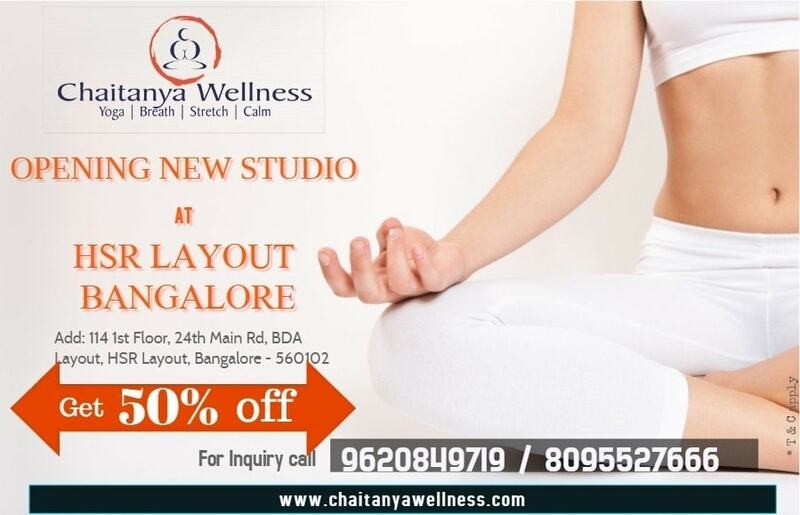 Chaitanya Wellness Yoga Academy provides yoga in a fun and learning way to kids. Our Kids Yoga experts have crafted Yoga classes with unique ideas, by incorporating props to make yogic practices interesting for the little toddlers. We focus on breathing technique and Asanas to make the yoga sessions more beneficial for the kids in an interesting way. Yoga at any age is a boon .Chaitanya Wellness believes that the best time to start Yoga is during childhood. Children at the age of 5 can start practicing yoga. At this age the bodies are flexible and minds are eager and ready to absorb learning and good habits that will last for a lifetime! Yoga at an early age encourages positive self esteem. Chaitanya Wellness Kids Yoga program are sculpted in a way that children are motivated to practice Yogasana and breathing techniques once they learnt at the studios. They learn how to control their breath throughout the day. Which helps them to deal with their fluctuating emotions.. They lean variety of yogic postures that help them learn balancing and correct body alignment. These yogic practices instill a balance of body and mind. It focuses at increasing the concentration levels of the kids. They learn Yogasana by relating them to animal poses and a various value based stories. Why Kids should do Yoga? Encourages healthy eating habits and a discipline in life. 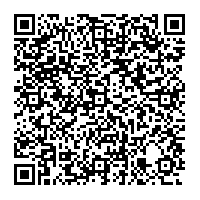 It is a non competitive group activity. Ignites creativity and confidence in children. Makes the immune system strong. Supports positive mental health in children. 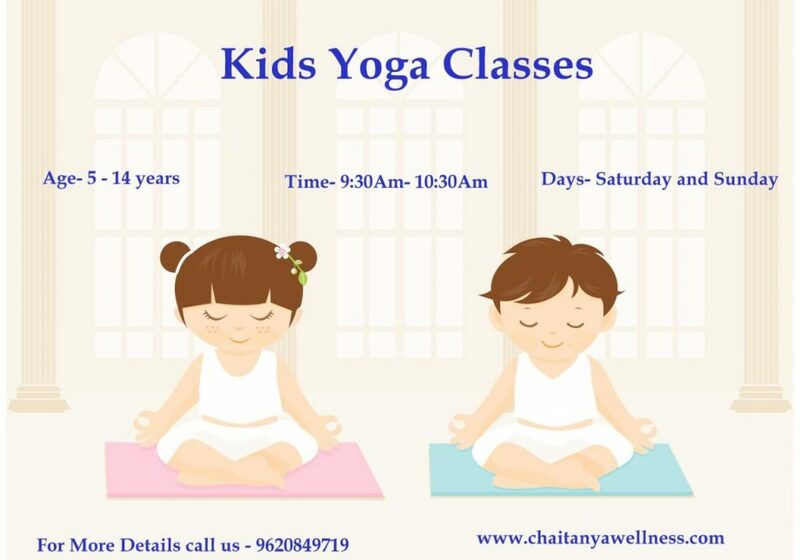 Chaitanya Wellness Yoga Academy offers Kids’ Yoga classes on weekends at both the studios’. We also has a provision to organize kid’s batches in your apartment at your convenient place and time.